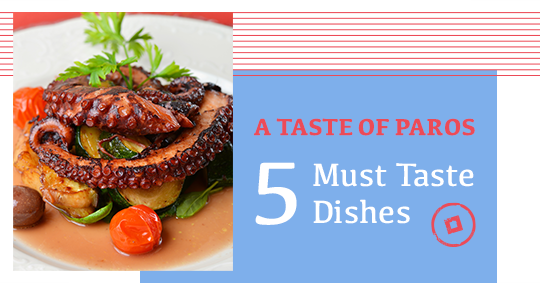 But before you begin trying all the delicious treats let’s take a closer look at the 5 absolutely must try dishes in Paros. 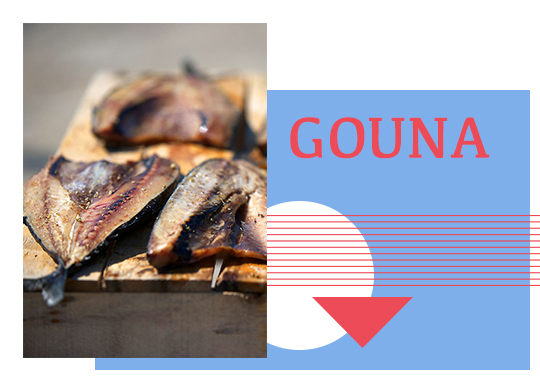 Gouna is a local specialty made of sun-dried mackerel fish, drizzled with herbs and then grilled. It is usually served with fresh lemon juice. 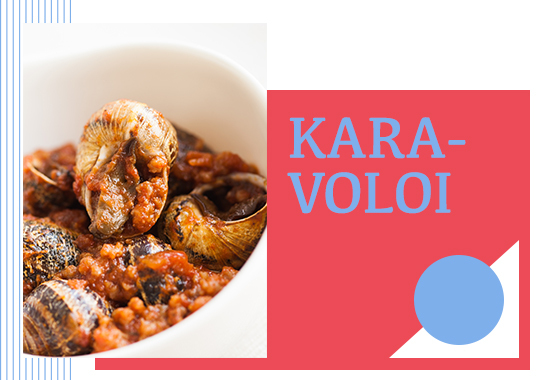 Another authentic Parian recipe are the Karavoloi snails. Usually large snails that are boiled and served with garlic sauce. 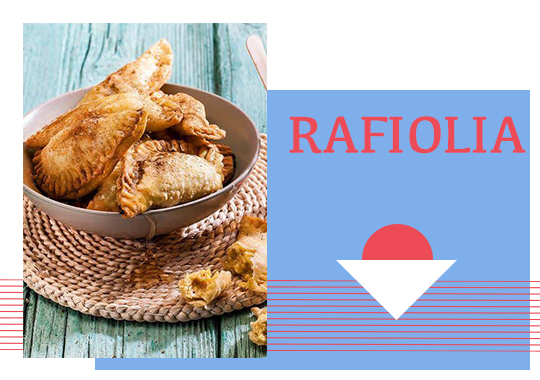 A unique recipe with the scents of the Aegean is an old time favorite for the locals and visitors alike. 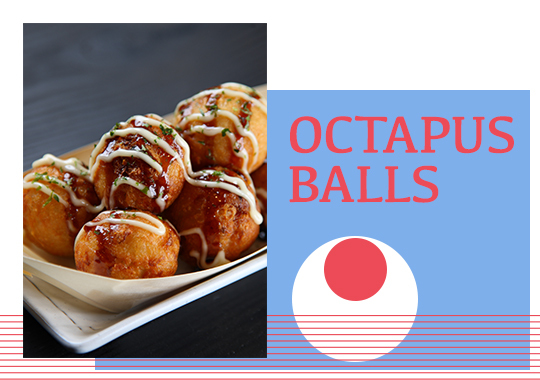 Just like meatballs but instead of meat you add octopus. It is considered an amazing appetizer especially when accompanied with the local alcoholic drink known as souma. 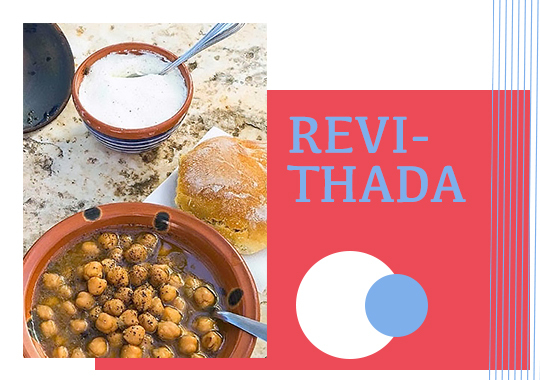 Known since the Homeric times, Revithada was the main dish served especially on Sundays. Chick-peas are grown in abundance in the island of Paros and are therefore used for the production of this delicacy. Cooked overnight in clay pots with onions, garlic, laurel and wine, this specialty dish is also served in festivals and celebrations. Traditional fried pastries made of dough, myzithra cheese, honey and cinnamon. An original recipe that has been passed from generation to generation and still fills the air of Paros with its sweet notes. Other than these exceptional delicacies Paros is well known for its flavorsome cheeses such as graviera, touloumotyri and xynomyzithra, its handmade pasta, its pumpkin pies, the “samota” spoon sweets and the petimezinia, myzithropitakia, lamparokouloura and lazarakia sweets as well as the authentic zahara baklava dessert. Have we sparked your appetite yet? Well, if not stay tuned as we will be travelling to the breathtaking island of Santorini and its refined flavors. This entry was posted in Destinations, Gastronomy, Paros, Tourism Insight and tagged gastronomy, greek islands. Bookmark the permalink.